Need to get rid of Indian Meal Moth? As you poured Fido’s food into his bowl this morning, a half-inch long moth flew out of the bag. Okay, you think, that was strange, but strange things happen. You look more closely into the dog food bag and you see the moth has friends. This unwanted guest is probably an Indian meal moth. If you have doubts about whether a moth is an Indian meal moth, check the coloring on its wings. If the wings have two colors, like a 1920’s two-toned shoe, then you’re looking at an Indian moth. These pests are one of the most common household invaders, and you’ve unintentionally brought them in. Despite food manufacturers’ efforts to safely package food, they occasionally have an infestation, and the Indian moths make their way into your home through packages of food you’ve purchased. Indian moths, named for their affection for corn, are most commonly found in food products like pet foods, bird seed, nuts, cereals, dried fruit and whole grain products such as cornmeal, pasta and flour. The female Indian meal moth can lay up to 300 eggs, and she usually lays them near a food source to facilitate nutrition of her larvae. The larvae are light white or yellow worms called caterpillars (even though they look like maggots) that hatch within a week and start looking for food. Your dog food infestation can quickly move to other foods in your pantry. In addition to the moths fluttering around your pantry, or a light-colored worm or two, you may notice webs in food products. The larvae spin these threads as they move through the food. Once the larvae have fattened up on Fido’s food, they’ll head to a cozy crevice in your pantry, make a cocoon, and wait to emerge as a moth. Within four to six weeks, the cycle begins again. While you can kill the Indian meal moths as you find them, the real solution is locating and then getting rid of any infested foods, followed by a thorough cleaning of your pantry area to remove any cocoons or rogue caterpillars. Since there can be up to five overlapping generations of Indian moths each year, it’s important to get rid of moths quickly and completely. Going forward, be sure to store any foods susceptible to infestation in sealed containers. An exterminator can provide the manpower you need to locate and treat your Indian meal moth infestation. Call the Bug Man at (503) 284-6269 or fill out our online form for help in the Portland and Vancouver areas to get rid of moths. 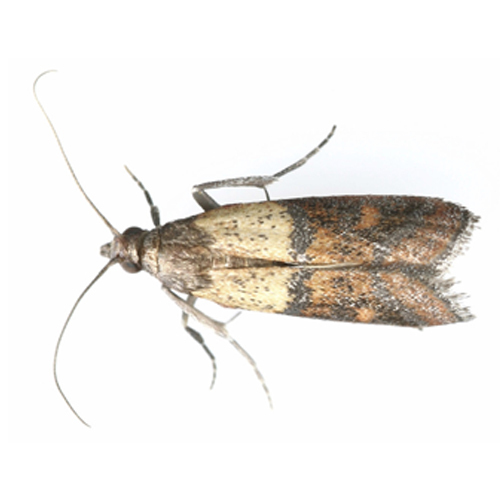 Indian meal moths are native to Europe, but have spread around the world. They aren’t picky eaters and adapt to different climates. In short, they travel well and are tough to eradicate. A pioneering entomologist, Asa Fitch, gave the Indian meal moth its American name in 1856 because the insect was commonly found in maize meal. Fitch identified the bug in his, “Reports of the Noxious, Beneficial and Other Insects of the State of New York.” Unfortunately, the Indian meal moth has been more noxious than beneficial. The report also identified the big problem with the Indian meal moth: It isn’t so much what they eat, it’s what they leave behind. “Fruit infested by this species not only contains living worms, but it is increasingly polluted by excrement, cast skins, webbing, dead individuals, and often the cocoons of parasites,” the report stated. If extreme temperatures, obsessive food inspections, or wasps do not sound like practical solutions to the Indian meal moth in your pantry, there is another option. Several types of chemicals are effective against the Indian meal moth. But they have to be applied in the right places, at the right times, and in the right doses. Indian meal moths have five pairs of legs. They travel surprising distances, making tracing the source of an infestation difficult. Also, the Indian meal moth over the decades has built up resistance to certain chemicals. It’s important to know which ones will work. 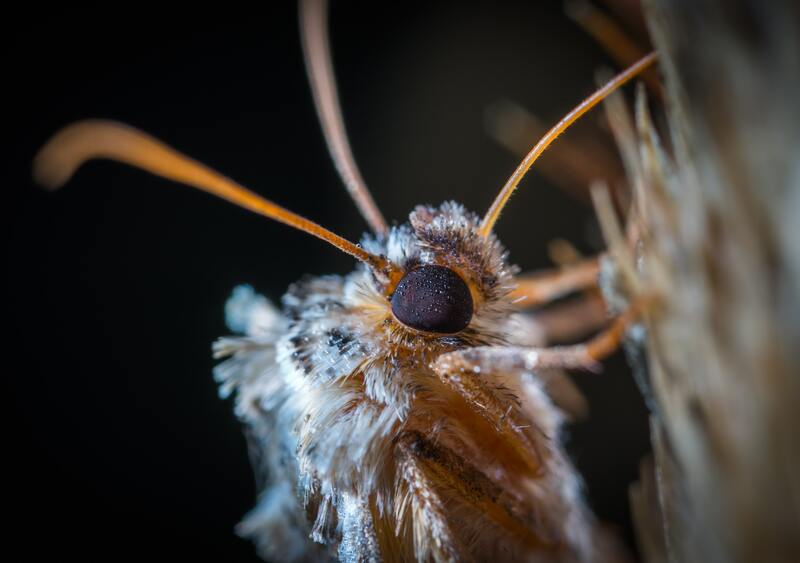 For help to get rid of moths or other pests in the Portland Metro Area and Southwest Washington, please contact us at bugmanthe@comcast.net, or call us at (503) 284-6269.